The most important decision you will make is what you decide to put on your plate and into your body. What we eat can either promote health or disease; in order for our body to take care of us, we need to make decisions that will promote health. Our body needs carbohydrates for energy; protein to help replace and build our cells; healthy fats to repair our cell membranes and control inflammation; phytonutrients and antioxidants to help our body fight free radicals and vitamins to help provide the cofactors needed for day to day chemical reactions that help our bodies function. Most of the nutrients our bodies need are found in whole foods, not processed foods. 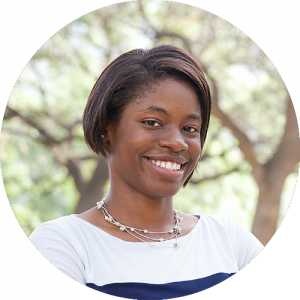 Did you know that food is more effective at preventing chronic disease than medications? Food can serve as medicine without the harmful side effects. Eating a whole food diet can help prevent over half of the leading causes of death in the U.S. The following list is not exhaustive, but it includes 10 foods you should eat for better digestion and healthier skin. If you want to reap the benefits from these nutrient powerhouses, then try the most nutrient dense green, leafy vegetables below. Spinach is full of iron and appetite suppressing- compounds called thylakoids. A serving size of boiled spinach contains more iron than a hamburger patty. 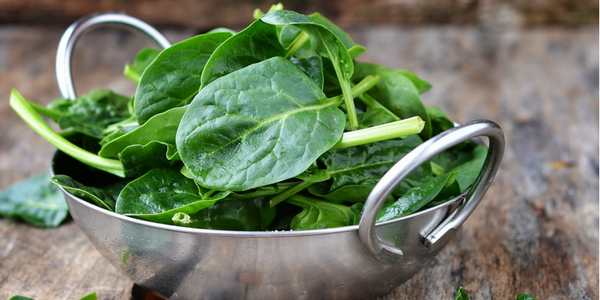 Pair cooked spinach with vitamin C to increase absorption of the iron. Swiss chard has over 13 different polyphenol antioxidants. One of the antioxidants is anthocyanin and it has anti-inflammatory properties that prevent chronic diseases like heart disease. Berries are antioxidant-rich and full of fiber. These mini powerhouses pack a punch that improves your digestive, cognitive and heart health. When possible, eat organic berries because non-organic berries have higher levels of pesticides. Blueberries are full of antioxidants that protect the brain and help improve memory and prevent cognitive decline. Raspberries have 8 grams of fiber per cup and are full of an antioxidant called ellagic acid that has anti-cancer properties. Strawberries are full of vitamin C, a potent antioxidant and is needed for the creation of collagen and skin health. 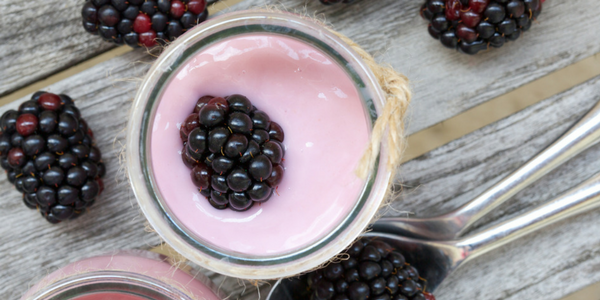 Blackberries are full of cholesterol-lowering soluble fiber and cancer-fighting antioxidants vitamins C, and E.
Cherries are full of bioflavonoids that promote heart health, improve the quality of sleep and decrease inflammation in the muscles and joints. 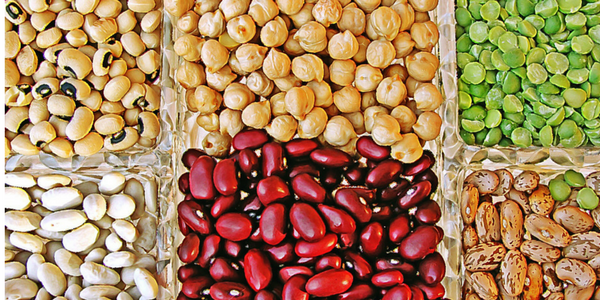 Legumes (beans, lentils) are good sources of antioxidants, soluble fiber, plant based iron, and protein. Soluble fiber helps regulate blood sugar levels, naturally lower cholesterol and manage weight. Pair iron-rich beans with vitamin C rich foods to increase iron absorption. Whole grains are packed full of fiber, protein, and minerals like zinc, copper and magnesium. Did you know that there are more antioxidants in a pinch of spice than there is in an orange? 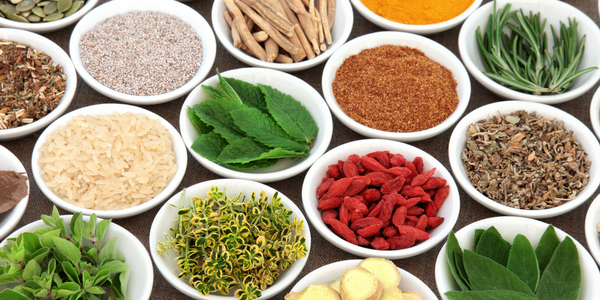 In addition to being a great way to flavor food, spices and herbs are antioxidant powerhouses that have anti-inflammatory, anti-fungal, anti-bacterial and health promoting properties. Just a little pinch can go a long way. Ginger can be used to alleviate stomach ailments and it has anti-inflammatory properties. Turmeric is a member of the ginger family and has potent anti-inflammatory and anti-cancer properties and it is used to alleviate inflammation. Cinnamon – regulates blood sugar levels. A phytochemical called chalcone polymers increase the absorption of sugar into the cells. It contains anti-inflammatory compounds that can ease muscle and joint pain. Cloves – have antiviral and antimicrobial properties due to eugenol, a phytonutrient found in cloves. It is also rich in manganese. Garlic – lowers cholesterol, has anti-clotting properties and is known for its anti-tumor and antimicrobial properties. Oregano – has the highest antioxidant activity of all the herbs and many antioxidant-rich fruits and vegetables. Protein is the building block for our cells. It is important to eat quality lean protein in the form of chicken, eggs, fish and beef. If possible, go for organic and grass fed options over conventionally raised protein that is full of salt, antibiotics, and hormones. All disease starts in the gut. – Hippocrates Without proper gut and digestive health, it is difficult to be healthy. Our digestive system breaks down and absorbs nutrients from the foods we eat to build, break down and repair tissues, facilitate chemical reactions and get rid of toxins and waste in our bodies. The best way to promote gut health is to feed the good bacteria. Prebiotics are food full of good bacteria that help promote health by secreting antibiotics, managing or mood and producing vitamins. Prebiotic foods include raw: chicory root, Jerusalem artichokes, garlic, leeks, onions, wheat bran, and bananas. 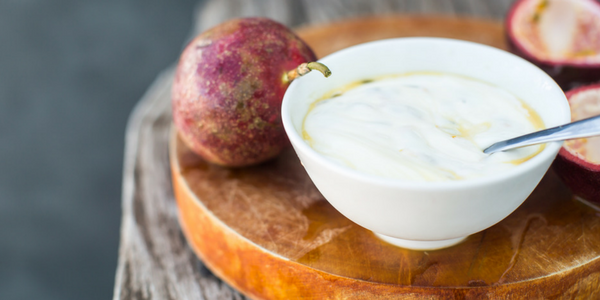 Once you have fed your good bacteria with prebiotics you need to eat probiotic rich food to replenish the good bacteria in your gut. Although there are probiotic supplements, it is better to get your probiotic from fermented foods. The more diverse bacteria you have in your gut, the healthier you will be. An easy way to cultivate a diverse bacterial flora is to eat fermented vegetables like sauerkraut, kimchi, plain yogurt, plain kefir and fermented vegetables. Almonds are rich in calcium and flavonoids that promote heart health. 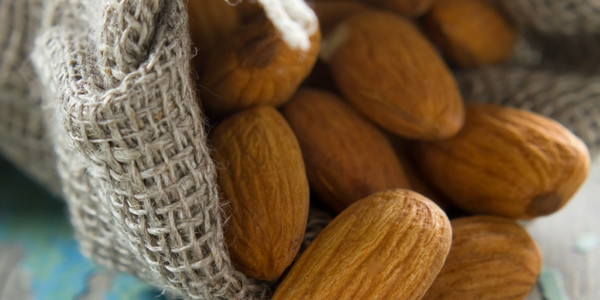 Did you know that 70% of fats found in almonds are heart- healthy monounsaturated fatty acids? They are also been shown to help regulate blood sugar levels and cholesterol? Brazil nuts are rich in selenium, a mineral that promotes thyroid health and immunity and decreases inflammation. Only 1-2 Brazil nuts will give you the recommended daily amount of selenium, in this case, less is more. 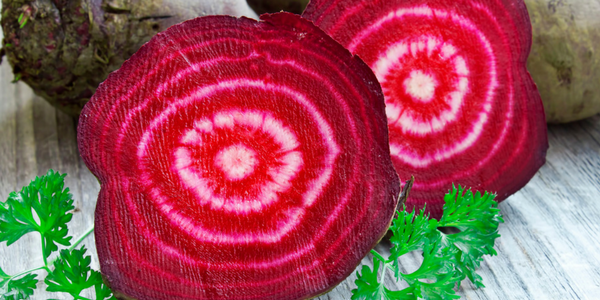 These brightly colored root vegetables include beets, sweet potatoes, carrots, and squash. They are full of trace minerals, vitamins A, C and E, antioxidants, and fiber. Sweet potatoes are antioxidant rich and a good source of vitamins B, and C, copper, manganese, and potassium. Although there are many other healthy foods you should eat these are the top 10 foods for a healthy lifestyle. The food that you eat has the power to help the body heal and reverse chronic diseases like diabetes, heart disease, dementia and high blood pressure. Eating antioxidant- rich foods can help fight the effects of oxidative stress from toxins and daily stressors. If you are looking to take control of your health and reverse the effects of chronic disease, the decision to choose nutrient dense, fiber rich foods is one of the most important decisions you can make.